Here is a case of Harry Homeowner doing his own plumbing work under the kitchen sink. The double bowl sink has two drains, each of which is supposed to have it's own trap, or they share a common trap. As you can see, the sink on the right has no trap, allowing sewer gases to come directly up the drain line, while the trap under the disposal is too long to effectively dispose of waste water. It will catch a lot of grease and other kitchen waste and become clogged. 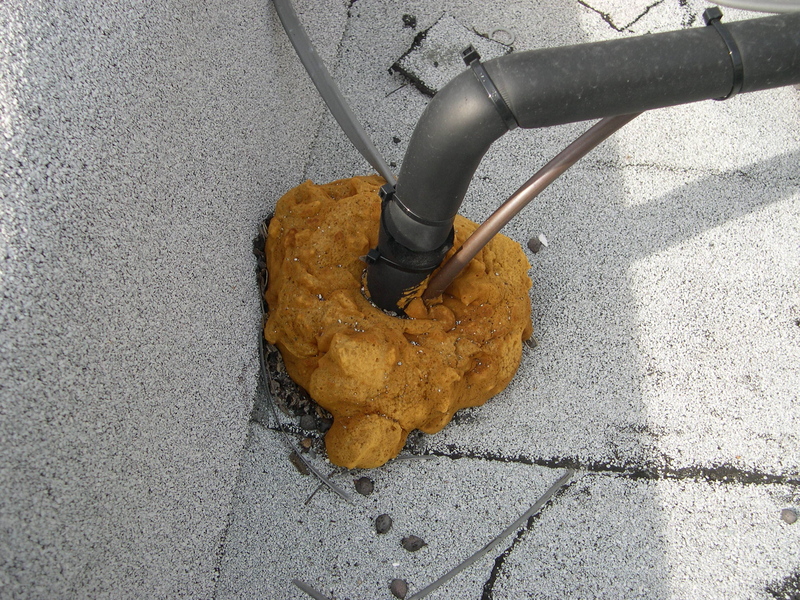 Here is a common problem found on homes in the city that have been recently rehabbed. These are the refrigerant lines for a roof top section of central air conditioning. The HVAC mechanic has chosen to seal the lines as they come through the roof with expanding foam, which is not a permanent seal. There should be a pipe through which these lines exit the roof and that pipe can be permanently sealed. 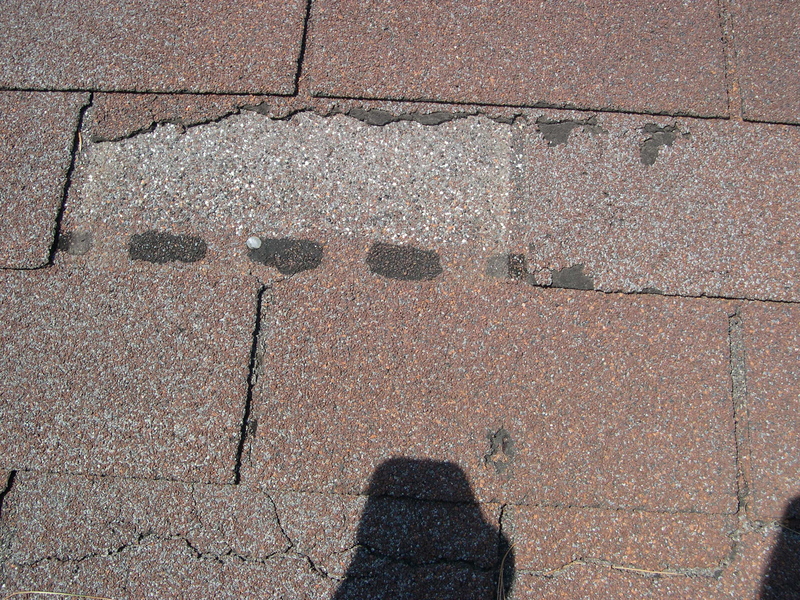 This is a picture of missing roof shingles that have either blown off in heavy winds, been installed incorrectly or are just at the end of their life span. Unfortunately not many homeowners know about this until it's too late. 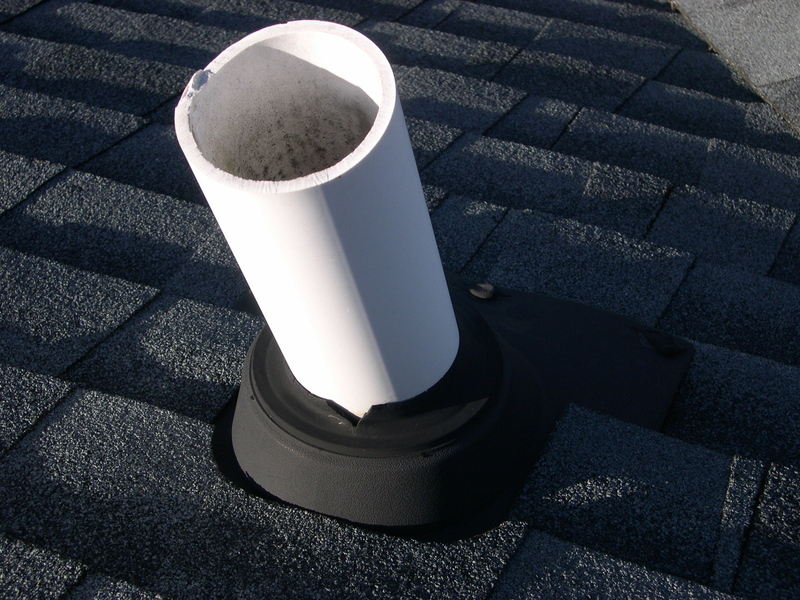 This is a plumbing vent pipe flashing that has deteriorated. 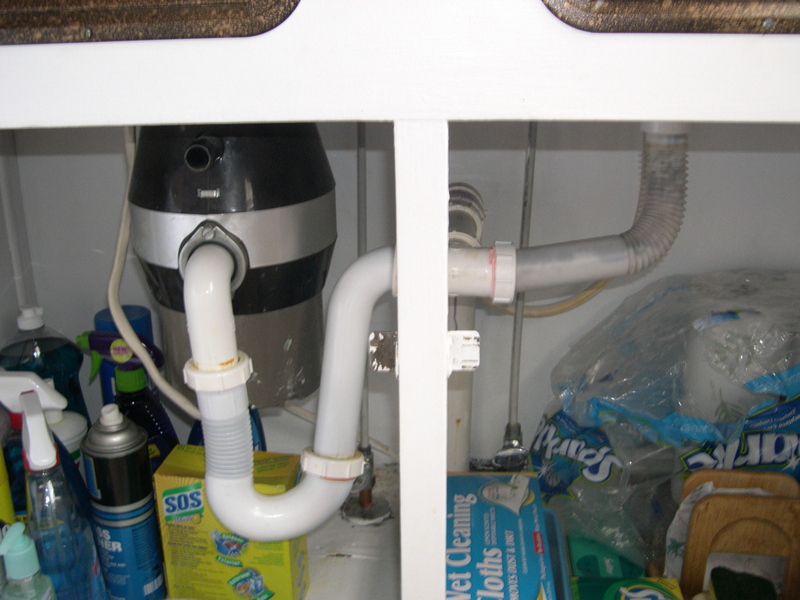 The pipe allows air into the drain and vent pipes so that sinks will drain and toilets will flush without siphoning water from nearby sink traps. The rubber gasket around this pipe has failed probably from age and exposure to the sun's rays. During a rainstorm, this is a possible source of water leaking into the attic.